Hooli is in the Belgaum district in North Karnataka. It is located at a distance nine kilometers from Saundatti, a major pilgrimage center with many temples. Hooli is one of the oldest villages in Belgaum. Belgaum itself has a rich and ancient heritage. Belgaum, known as Belagave in Kannada, originally had the name of Venugrama, ‘village of Bamboo’. It was the capital of the Rattas from the 12th century onwards. Belgaum has always been a part of the rich cultural heritage of Karnataka, and was a part of the major empires of this region – Kadamba, Chalukya, Rashtrakuta, Ratta, Vijayanagara, and the Marathas. The region of Hooli once had many temples, all of which were once plundered and looted. Many of them lie in ruins. 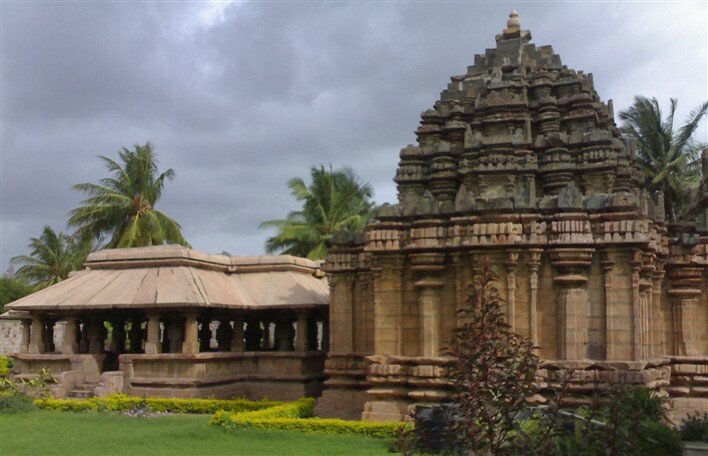 The most famous temple in Hooli is the Panchalingeshwara temple. This is the only temple that is still in a good condition. This beautiful temple stands as evidence to what once must have been a great center for temple architecture, and hints at what the other ruined temples would have looked like when they were still standing in their original glory. The Panchalingeshwara temple is now under the protection of the Archaeological Survey of India. The many other temples scattered around the village are in dire need of restoration and protection. Belgaum, a major city in North Karnataka, has an airport and a railway station. From Belgaum, in order to reach Hooli, you can take a bus to Nargund. The Shivakashi valley bears enough evidence still to suggest that it must have once been a dense forest. Even during the early part of the twentieth century, the forests were big enough to have tigers roaming in it. Unfortunately, the tigers were hunted to extinction here, and even the forest has now been decimated. The little wildlife that remains struggles to survive in the ever shrinking forest. This is also a place that you can visit during your trip to Hooli.